Window tint has many benefits and the great thing about it is that it’s invisible! It performs important functions like protecting you from UV rays, save you money on utility bills, and even protect you from skin cancer. Tinted windows act as a barrier between the outside world and its elements while you and your family get to enjoy the safety and comfort of your home. The great thing about window film is that if you so wish, it is see-through and invisible. There are also options for a darker tint which often because necessary to busy neighborhoods. Aside from giving your home that final touch when it comes to curb-appeal, residential window tinting offers a few important benefits. Without the sun shining through your windows onto your walls and furniture, the lifespan of your furniture is extended. Direct sunlight on your walls tends to discolor paint, leaving the room looking a bit uneven when you consider the areas not affected by the sun. If you’ve invested in your interior contents then we suggest maintaining your furniture by protecting it from direct sunlight. Window tinting is an easy way to prevent damage and weakening to your furniture. Window film will reflect the heat from the sun as well as the glare that is created. The glare from the sun can be annoying when it comes at the wrong angel and can have an impact on the productivity of your employees as well as the comfort of your home/office. Watching TV, working on your computer, reading or cooking can be affected by this glare and although it isn’t serious, it can be seriously inconvenient. Preventing the sun’s rays from penetrating your home of your office, you will end up saving you on your power bills by not requiring the use of your AC. The benefit of window film means that things don’t heat up and cool down as they do without film. 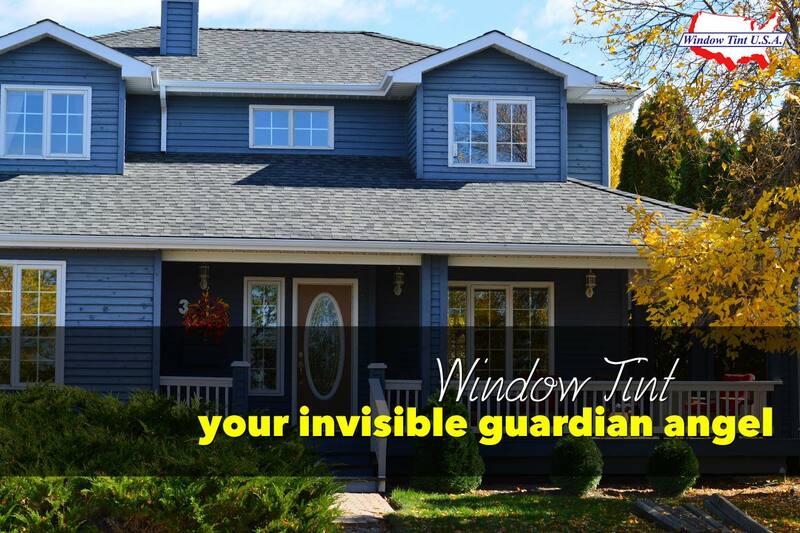 If your home is located on a busy street or in an area that gets a lot of foot traffic on a daily basis, tinting your windows will provide you the privacy you need. Passersby’s will not be able to peer into your house and your family can feel secure in the comfort of their home. Security window film deters intruders from accessing your home because it poses a bit more difficult to get through the glass than if there were to be no protection at all. Thieves would rather avoid a home that would cause them issues because of the amount of time it would take to actually gain access. This as well as the fact that the color of your film can be darkened meaning fewer prying eyes. Other aspects of safety include preventing your windows from shattering should your house be subject to severe weather conditions, stray balls such as baseballs and footballs as well as an attempted burglary. If a window is broken, your family is protected from any glass related injuries because glass will not fly around. UV rays are sneaky and dangerous. They damage one’s skin and cause premature aging. UV rays can affect you in your car, in your office, on the beach, under cover, amongst other places. It will come through your window, but not if you block it out. UV rays can penetrate windows and if you’re sitting next to a window with sunlight streaming in, you are at risk for UV damage. For this reason, window tint can provide protection against skin cancer. The great thing about window tinting is that it is an investment for your home or office and only requires a once-off cost. It is easy to upkeep and its benefits outweigh the initial cost. Window film maintains the natural appearance of your windows and still does its job in protecting your household or office from harmful UV rays, reducing energy transfer and allowing good light in. Selecting the right film is easy with the help of professionals at Window Tint USA.